Andrew's first teaching job was as a VSO volunteer in Papua New Guinea. After a year working in London, he moved on to the British School of Lomé in Togo where he became Head of Mathematics, then IB Diploma Coordinator. He moved from there to BISS Puxi, firstly as Head of Mathematics and then as Head of the IB Academy. After 6 years at BISS, Andrew joined Ecole Ruban Vert, a start-up school in Libreville, Gabon as Head of Secondary before returning to BISS for two more years. 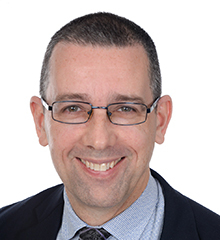 Andrew is very excited to be taking on the role of Head of Secondary at NAIS Pudong. 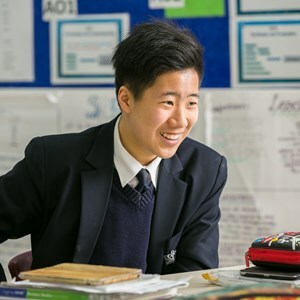 Having been to the school several times previously, he knows about its high academic standards and the fantastic range of opportunities that the school inspires students to take. Andrew is here with his wife and 6 year old son, Jason, who is very excited about joining Year 2 at NAIS. He loves being in China and enjoy visiting different parts of the country, exploring Shanghai by bicycle, sampling Chinese food and attempting to learn Mandarin. He enjoys watching an playing football, support Middlesbrough and am a season ticket holder at Shanghai Shenhua.